Do you know what the number one most Shazammed song was during this years Superbowl? It wasn’t anything by Bruno Mars or the Red Hot Chili Peppers. Instead, it was “Don’t Leave,” a gentle song from Norwegian born and Swedish based singer-songwriter Ane Brun. 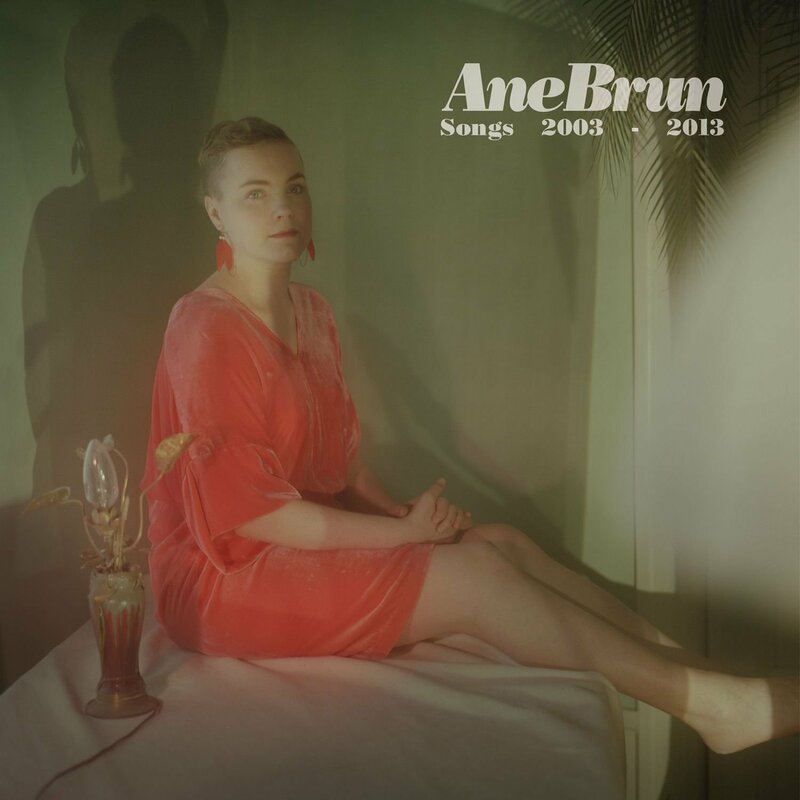 We featured an interview with Ane in 2013 based on her 10 year retrospective album,Songs 2003-2013 and now, I’ve got her in the studio playing music from across her career including that Superbowl song, “This Voice” and a surprising cover of Beyoncé ‘s “Halo”. She’s joined by cellist and singer Linnea Olsson tonight on Echoes. Join the Echoes CD of the Month Club. 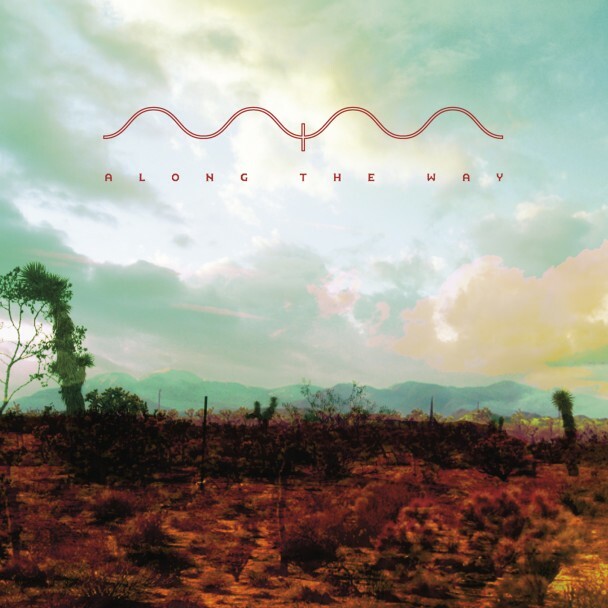 Mark McGuire’s Along the Way is our March CD of the Month. You’ll get great CDs and help support Echoes at the same time. You can do it all right here. Priscilla Ahn Live on Echoes. Singer-songwriter Priscilla Ahn Plays Live on Echoes Tonight. 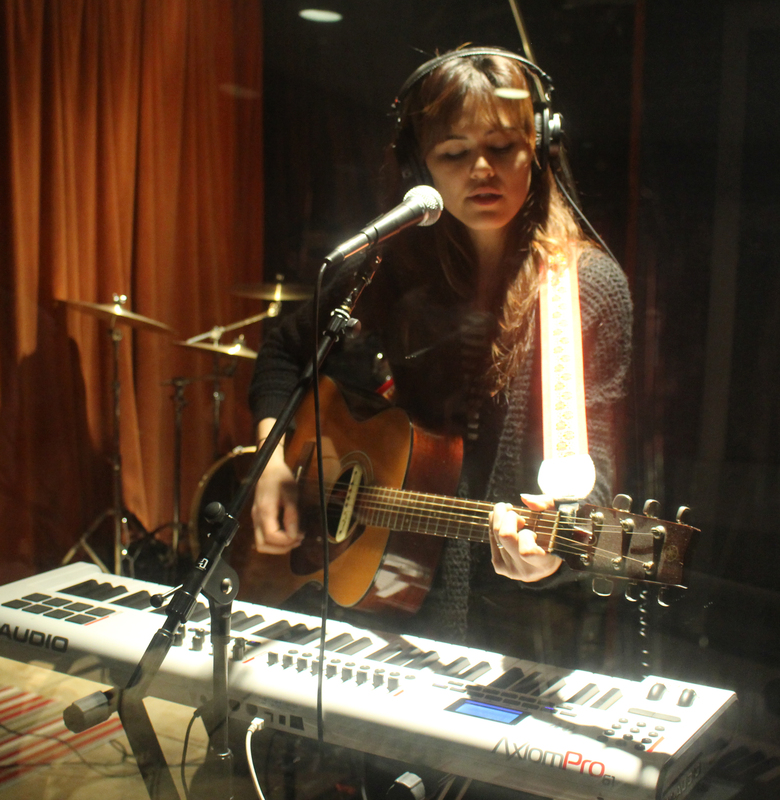 Hear another child of Echoes tonight when Priscilla Ahn plays live. The singer-songwriter grew up in Central Pennsylvania where she listened to Echoes on WITF in Harrisburg and WXPN in Philadelphia. She’s in LA now where she has been crafting introspective personal songs like “Dream” from her 2008 debut album, A Good Day. Her new CD is a major leap forward. Ahn embraces electronica to sculpt her deepest, most personal CD yet, but acoustic guitar and plaintive folk songcraft still informs her music. This is Where We Are is a love song to her marriage with husband Michael Weston, but there’s also some tortured break-up songs. We traveled to LA to record Ahn joined by keyboardist and singer Wendy Wang, who recently played on Echoes with Juliette Commagere. She delivers a breathtaking set and reveals the stories behind songs like one of the aforementioned break-up songs, “Remember How I Broke Your Heart.” Hear Priscilla Ahn live tonight on Echoes. Join the Echoes CD of the Month Club. Erik Wøllo’s Timelines is our February CD of the Month. You’ll get great CDs and help support Echoes at the same time. You can do it all right here. Hear Moby Interviewed Tonight on Echoes. I don’t know if Moby intended it this way, but Innocents sounds like the conclusion of a trilogy, joining Wait for Me and Destroyed, his two previous albums. As on those recordings, Moby plays the ambient song-smith, crafting odes of haunting and poignant beauty, making a music that sounds like it’s rooted in an earlier, more rustic time, except it’s electronic. The songs in this trilogy are more personally reflective than those on albums like Play, and Moby has become less reliant on sampling and more engaged in building upon a lineage of songwriters that goes back to Joni Mitchell, Nick Drake and Neil Young. In fact, “Almost Home” would not have sounded out of place on Young’s After the Gold Rush, except of course, for the synthesizer accents and ambient effects. Damien Jurado sings this lament in a falsetto that echoes Neil Young’s pitch-challenged charm, and Moby’s sonic landscape recalls the lonesome wails of Crazy Horse. 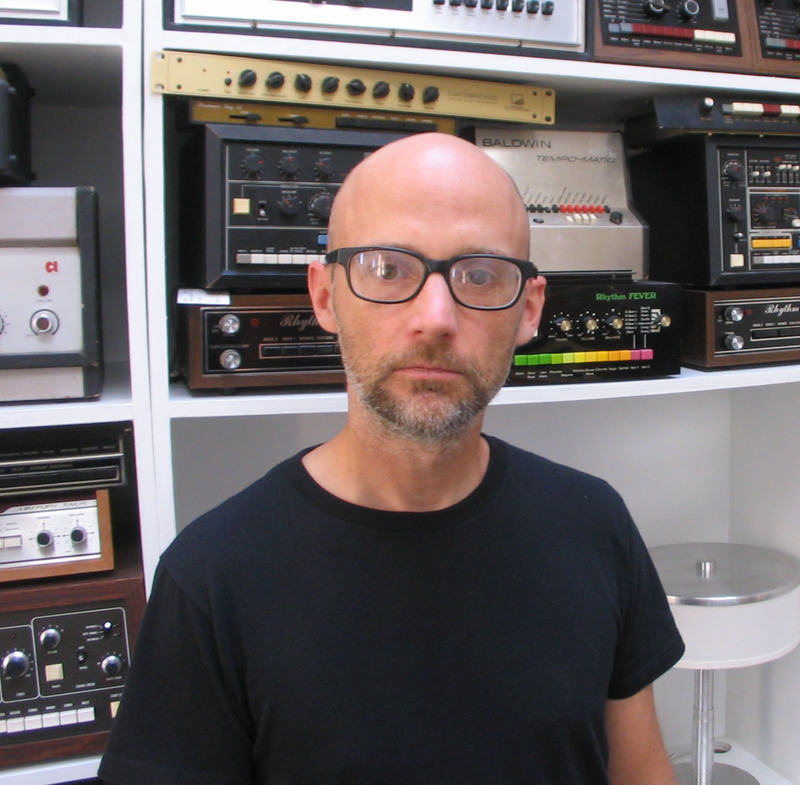 Moby & drum machine wall – Echoes Interview. Jurado is among a cast of singers who appear on Innocents, many of whom wrote their own lyrics. Cold Specks turns up on two tracks. With a Norah Jones-like sultriness, she intones late-night reflections on “A Case for Shame.” Non sequiturs like “Cut off your nose to spite your face, slowly send your palms away,” turned into a searing meditation on existence . Cold Specks gets a dark blues sound on “Tell Me” reinforced by Moby cutting and pasting an insistent refrain and layering her voice in this forlorn, but powerful piece. Skylar Grey is a singer associated with Eminem and she has the ethereal, smoke-filled voice Moby favors, as evidenced by previous singers like Kelli Scarr. Over a slo-mo groove draped in synth pads, and against a gospel loop sample pleading to “look over yonder, the sun done gone,” Grey sings “The Last Day,” a hymn about death an a life lived without being. “You Only just discovered the sun, on the last day,” she sings with resigned regret. It’s the only song where Moby also uses the found-vocal strategy of Play. A life unfulfilled is a theme for many of Moby’s songs. 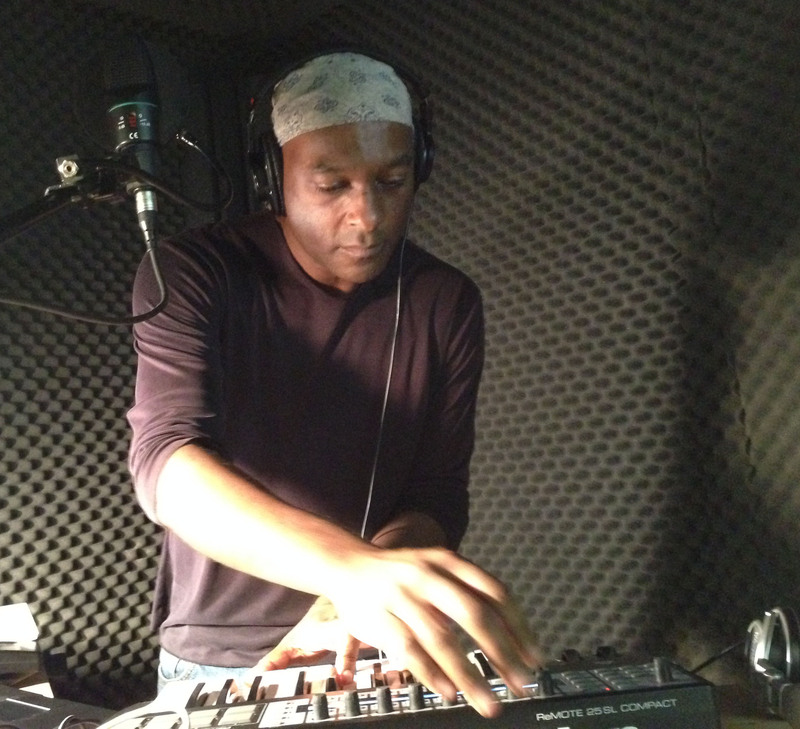 You’ll find it in lyrics he wrote for longtime collaborator Inyang Bassey on “Don’t Love Me,” a mid-tempo electro-barrelhouse song about a woman mistreated by a lover. It’s also in yet another of Moby’s cautionary tales about heroin, “The Perfect Life,” sung with Wayne Coyne from The Flaming Lips. The album ends with a song as bleak as any Moby has ever written: “The Dogs.” He sings this one himself, mourning the turns of life and what sounds like a failed relationship. Moby could probably play a lot of these songs sitting at an acoustic piano or plucking a guitar, but that’s not his way. These songs are spun through ghost echoes, shadow delays, draped in synthesizer pads and punctuated with disembodied sounds. Few can do more than Moby with some simple chords of synthesizer strings. Innocents includes the requisite moody Moby instrumentals too. “A Long Time” is one of the few songs that harkens back to his dance roots. There is a vocal on it, but the words are indecipherable and buried in reverb and delays, making this sound more like an instrumental track that would sit well in the EDM rave of your mind. He should have segued it into the syncopated groove of “Saints” with Steve Sidelnyk’s march-to-Mordor drums and Inyang Bassey’s anguished shouts. Wait for Me, Destroyed and Innocents are trilogy of elegies for Moby, looking back on his life and the people he’s lost. A track on the deluxe edition CD is aptly called, “Everyone Is Gone.” Sadness rarely sounds as beautiful as it does with Moby. Hear Moby interviewed tonight 1/28, on Echoes. Hear Moby interviewed tonight 12/9, on Echoes. Join the Echoes CD of the Month Club now and you can put David Helping and Jon Jenkins’ Found under somebodies Christmas tree. It’s our December CD of the Month. You’ll get great CDs and help support Echoes at the same time. You can do it all right here. Get the right music for your turkey repast with a special Echoes Thanksgiving show of acoustic sounds for late autumn and a live performance by SHEL, the acoustic trio of sisters from Colorado who make a beautifully charming sound on their self-titled debut. The band called SHEL is from a generation of musicians who grew up on their parents record collections. The four sisters from Colorado, ranging from 19 to 25 years old, were listening to folk music and classic rock as much as contemporary music, maybe more. They’ve created a charming and infectious sound, full of serene harmonies and playful instrumentation, but there’s also something deeper lurking in this music. On the heels of their self-titled debut album, SHEL came to echoes and gave us a glimpse into their music. 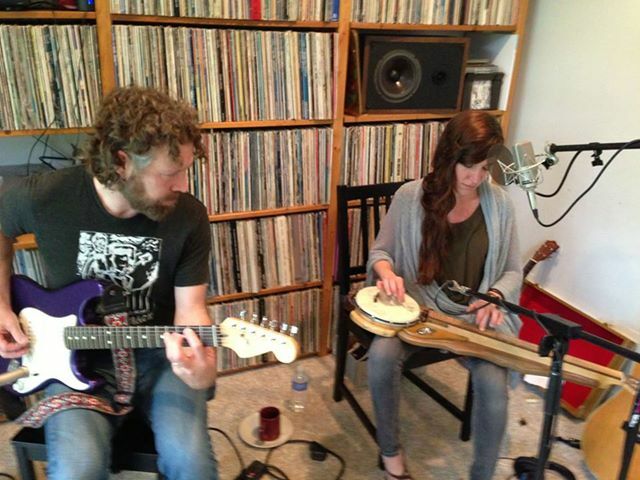 Hear SHEL playing live on an Echoes Acoustic Thanksgiving tonight. 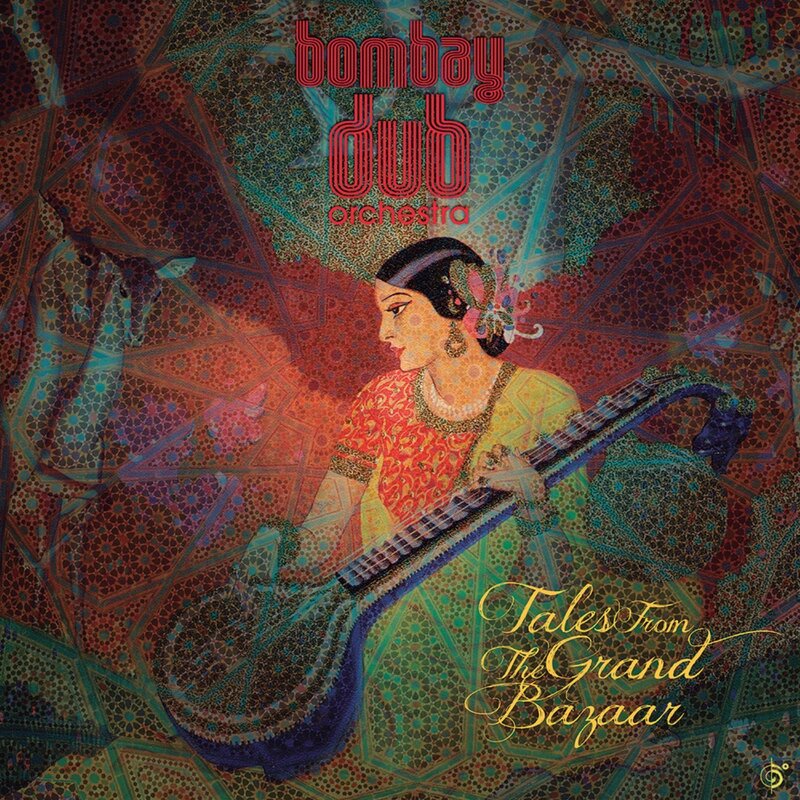 New members of the Echoes CD of the Month Club will get Moby’s Innocents album, our November CD of the Month and a BONUS CD of Bombay Dub Orchestra’s Tales from the Grand Bazaar. You’ll get great CDs and help support Echoes at the same time. You’ll also get the new Echoes CD, Transmissions: The Echoes Living Room Concerts V19, which includes a track from SHEL. You can do it all right here. Hammock is one of those bands that is consistently name-checked by artists we interview on Echoes. Rhian Sheehan, Mree, All India Radio and more have cited them in recent months. They return with a new CD that follows on the heels of 2012’s Departure Songs. That album was an Echoes CD of the Month and was judged the Best Echoes CD of that year. You might recall that Departure Songs contained a physical train ticket to “Oblivion,” so Oblivion Hymns was already in the works as an extension of Departure Songs. It continues that sound of dark, slowly shifting guitar ambiences, but this time there are more acoustic strings and even a children’s choir. We’ll hear a track from Oblivion Hymns tonight. I also have new music by Jonathan Wilson, the North Carolina born singer-songwriter who has been transplanted to Laurel Canyon. The Guardian said his new album, Fanfare is “an epic shrine to softer 70s rock: balanced on a sixpence between Pink Floyd’s Dark Side of the Moon, John Lennon’s Mind Games and namesake Dennis Wilson’s exquisitely weary Pacific Ocean Blue. Sounds good to me. Echoes affiliate WXPN called him the Artist to Watch for November. We’ll hear that and more, tonight on Echoes. 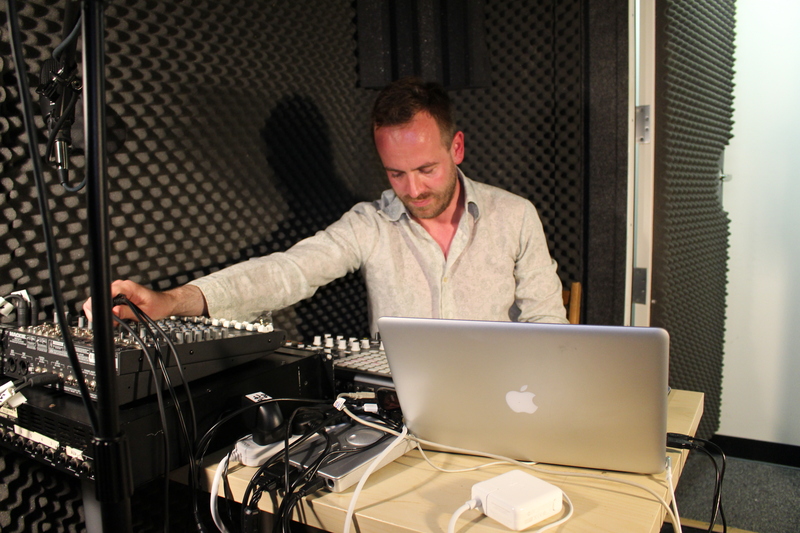 TRANSMISSIONS is a collection of live Echoes performances that shows Echoes moving into the future in our 25th year. It’s a merging of electronic, new acoustic, dream pop and ambient chamber music. This is the center of Echoes. In Transmissions, you’ll hear the atmosphere laden songs of Azure Ray, Julia Holter, Still Corners and Una. There are haunting singer-songwriters with Hem and SHEL, and virtuoso guitarists Jesse Cook and Kaki King. Ambient chamber music is heard in the illuminating performances of Ólafur Arnalds, Ludovico Einaudi and Helen Jane Long. Electronica plugs in with the sound of Tycho and Ulrich Schnauss and space music orbits with Ian Boddy, Radio Massacre International and Vic Hennegan. TYCHO launches the album with one of his best known tracks, “A Walking” from his 2011 CD, Dive. He brought a bassist and drummer into Echoes to realize the slightly off-centered and buoyant groove of this track which has Tycho’s Scott Hansen playing synths and guitar. 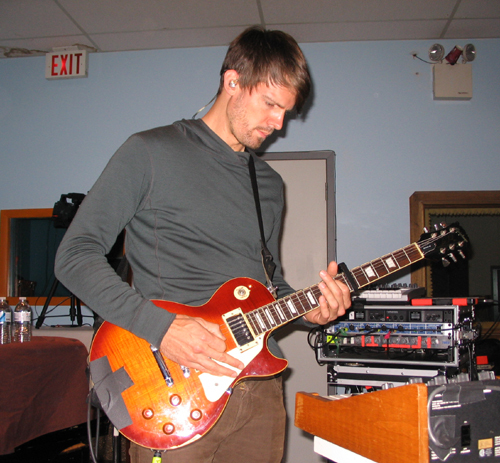 Tycho is a cousin in musical ways to ULRICH SCHNAUSS. This is Ulrich’s second appearance on an Echoes CD and he surprises us with this complete makeover of “A Long Way to Fall,” the title piece to his latest album, which was an Echoes CD of the Month. I actually pulled this segment out of a 28 minute continuous set he performed as he reconfigured the melancholy themes of this song, rendering it almost completely new. We’ve been loving the new wave of Dream Pop artists on the show and several of them came through this year. AZURE RAY, the duo of Orenda Fink and Maria Taylor were as entrancing live as they are on their CDs. These mavens of melancholy can bring you to tears and they do with this darkly hued, electronically throbbing song, “Scattered Like Leaves” from their EP, As Above So Below. I love the Moog bass accent on it. 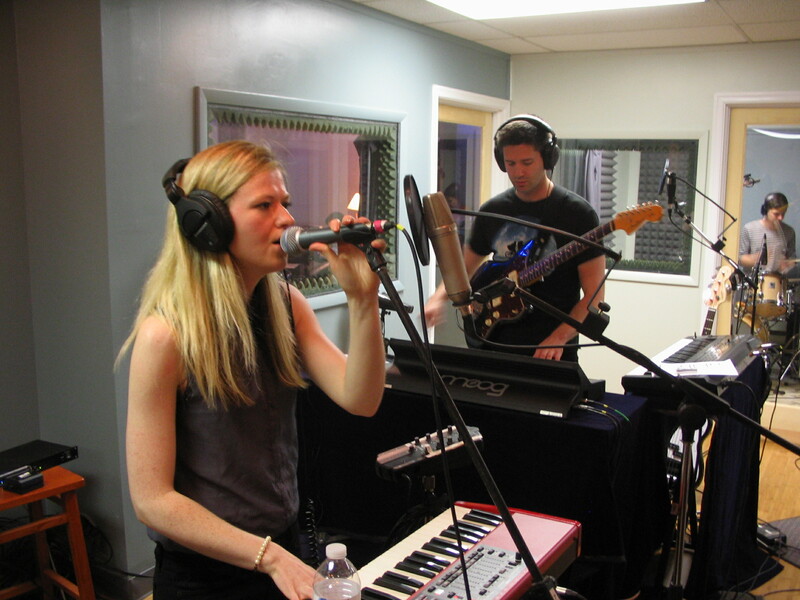 STILL CORNERS has a lighter, more exuberant touch with singer Tessa Murray voicing the romantic theme of guitarist Greg Hughes. “Fireflies” in particular, from their album Strange Pleasures, is a buoyant track even though Tessa has never seen fireflies. 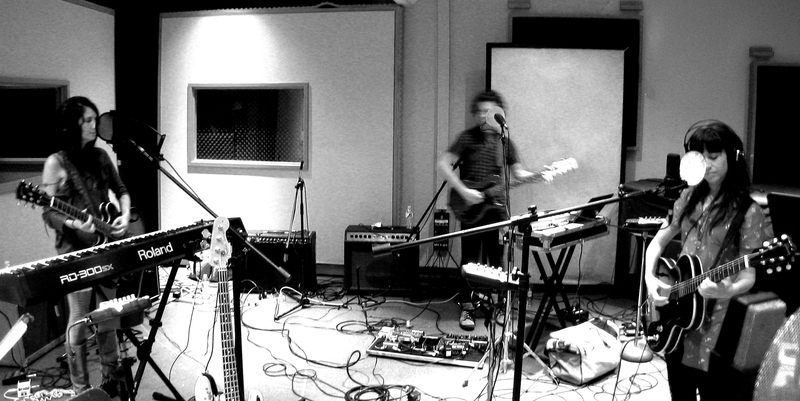 UNA are an LA trio that brings a bit more of a jazz and trip-hop sound to their music. They were scheduled to perform in my living room, but on a 95 degree summer day, the air conditioning failed an hour before their arrival. We scrambled to my girlfriend’s house where the band assembled their turntables, effects and Wurlitzer electric piano to play songs from their The Laughing Man EP. They played a beautiful version of “We Are the Lonely” with Jennifer Nice’s coolly arch vocal and Eddie Barajas’ live turntable samples and manipulations. JULIA HOLTER is a singer-songwriter with ambient moods and an avant-gardists heart. Her albums, including Ekstasis and the recent Loud City Song, feature heavily layered vocals, so we thought she’d come in with backing tracks. 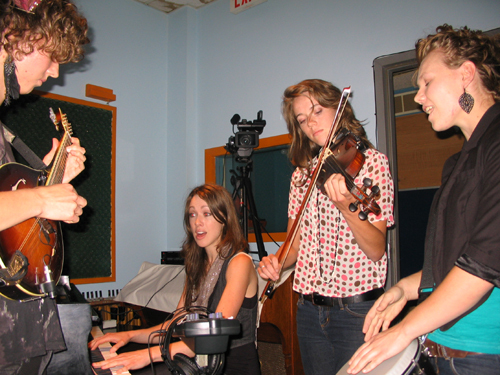 But Holter decided to do it all live with herself on keyboards, a cellist and drummer. The wistful themes of “In the Same Room” were beautifully served by this approach. She created a version as melodically beguiling as the album track, but different, live and present. On the acoustic singer-songwriter side, we have two bands that follow the unconventional path. HEM is a band from New York who almost broke up under the weight of one member’s drug addiction. But pianist and composer Don Messé got clean and wrote several beautiful, heartbreaking songs for their album, Departure and Farewell. It started as a swansong but became something bigger. 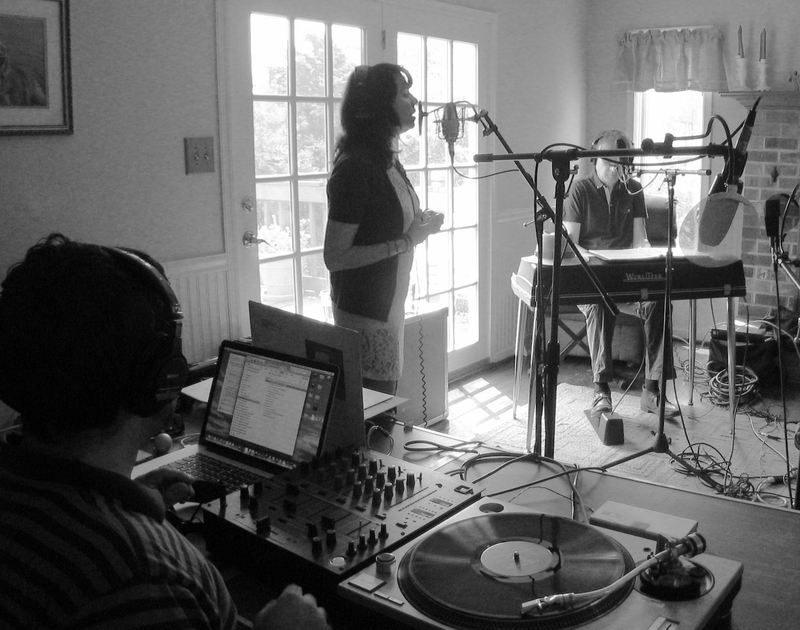 We took their performance of the title track for Transmissions with that amazing vocal from Sally Ellyson. While the member of Hem are hovering around the 40 year old mark, the members of SHEL hover around 20. 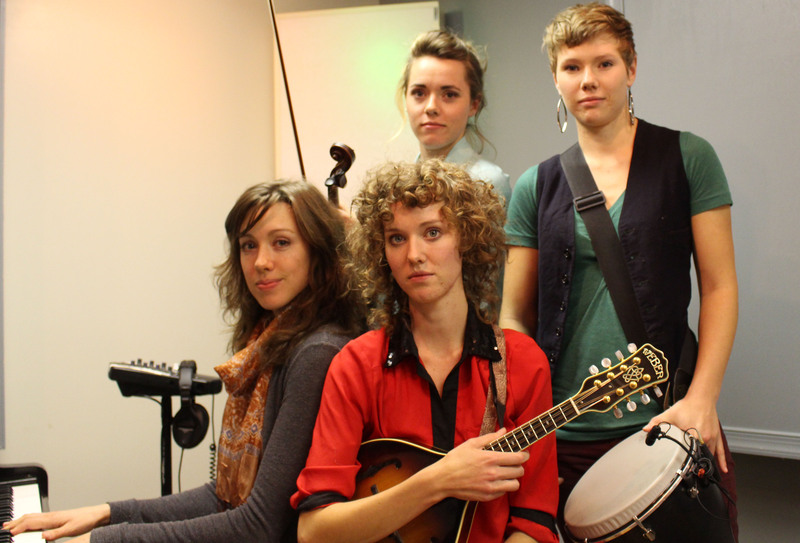 They are four sisters from Colorado, Sarah, Hannah, Eva and Liza Holbrook and they play violin, piano, mandolin and percussion and also have beautiful, sisterly harmonies when they sing. “Paint My Life” from their debut album is full of melancholic, youthful reflections but also has a sense of whimsy. Two great guitarists appear on this CD, Jesse Cook and Kaki King. Both have been on previous Echoes collections. JESSE COOK came stripped down this time, just him and another guitarist as they played music from across Cook’s career. But we really wanted to hear him play music from his latest album, The Blue Guitar Sessions and “Broken Moon” is one of them. 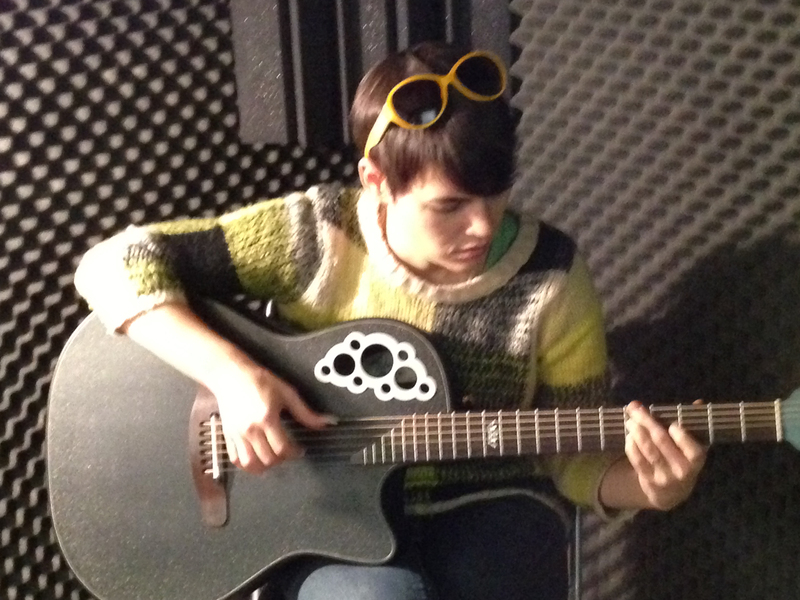 KAKI KING has been on Echoes many times, and every time, it’s different. On the heels of her album, Glow, she came in with her acoustic guitar and koto guitar and proceeded to show why she’s one of the most highly regarded finger-style guitarists of our time. Ambient chamber music, that meeting ground of classical and ambient electronics, has been an important part of Echoes for years. In fact, we coined the term. We have two of the leading figures in the genre, Italian pianist Ludovico Einaudi and Icelandic composer Ólafur Arnalds. 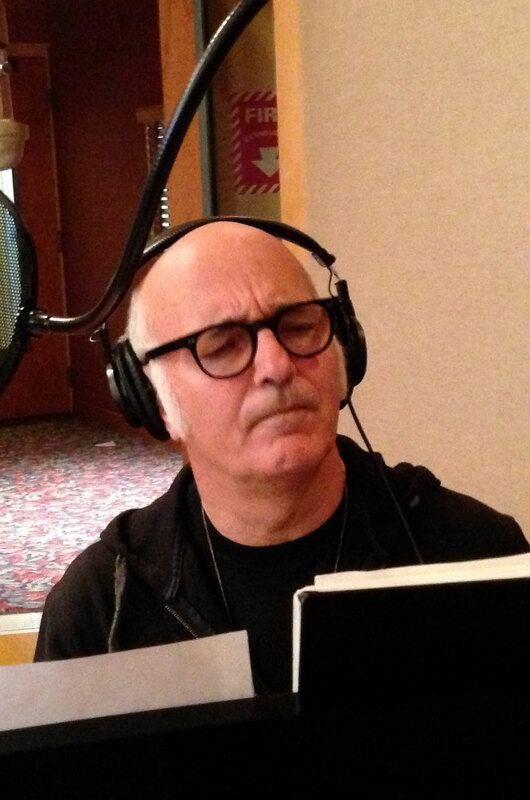 LUDOVICO EINAUDI is the more traditional of the two, coming from a traditional classical background. His music is marked by its soaring melodicism. He’s been on four previous Echoes CDs, but this is the best example of his work, playing with a small chamber ensemble he performed music from his CD of the Month, In a Time Lapse. This performance of the title piece is a trance-like excursion of minimalist modalities. 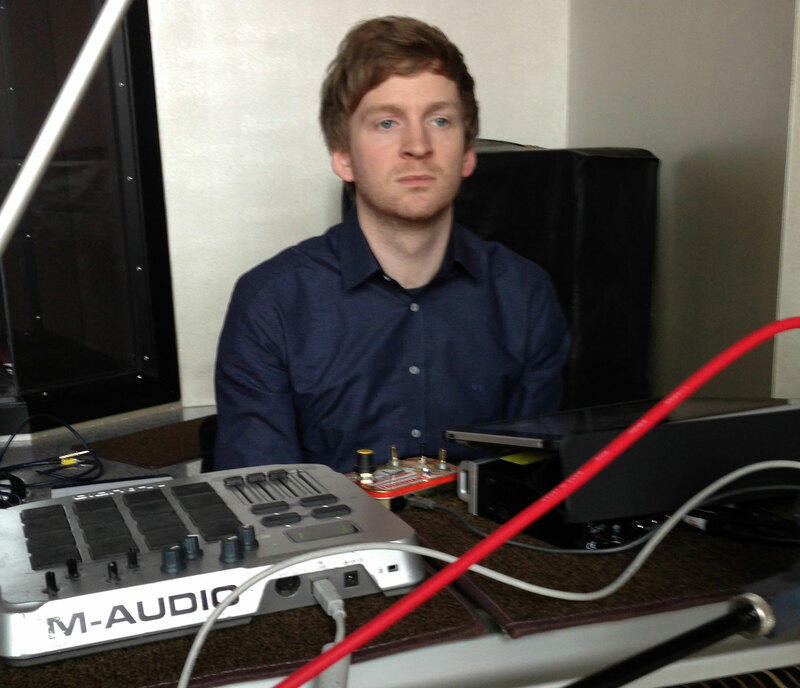 ÓLAFUR ARNALDS is much younger by half, than Einaudi and his music is more deeply embedded in an ambient sound. His 2013 album, For Now I Am Winter was an Echoes CD of the Month, but perhaps ironically, this track, “Near Light”, originally appeared on his Living Room Songs album. He composed a song every day, played it in his living room and uploaded it to the web. Recording with just a piano, electronics, violin and cello, it’s a work of pensive moods suspended in space. It was recorded at The Oven Studio in New York, which is owned by Alicia Keys and he played her Yamaha grand piano. English composer HELEN JANE LONG isn’t quite ambient chamber music since she doesn’t employ electronics, but she composes in that mode with serenely sculpted melodies that sound like that came from an earlier, more elegant time. She brought a string quartet into Echoes to play music from her albums and we picked this beautiful rendition of “To Dust” originally from her Embers album. She recently rerecorded tracks from her Porcelain album at Air Studios in London. The Music Centre where this was recorded isn’t Air, but it still sounds pretty good. Transmissions may have the most space music selections of any previous CD. RADIO MASSACRE INTERNATIONAL is the only performance on this disc recorded in the actual Echoes Living Room. 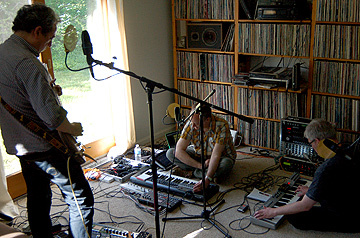 Duncan Goddard, Steve Dinsdale and Gary Houghton gathered, literally on the floor, surrounded by synthesizers, computers, effects pedals and cables and spun out this rendition of an older track called , “Organ Harvest” the title piece to a long out-of-print album. Note the Pink Floyd “Echoes” homage at the end from Houghton’s guitar. Their latest album is The Clouds of Titan. IAN BODDY has been on a few previous Echoes CDs, but only once before as a solo artist. 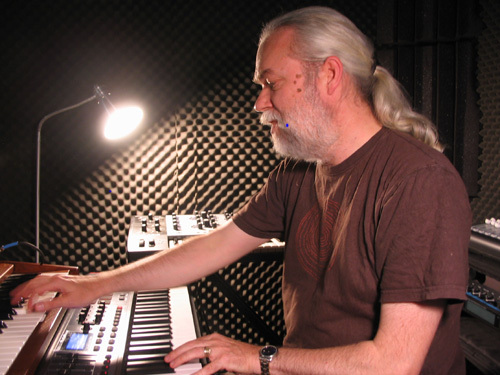 He stepped into Echoes’ black booth and surrounded himself in a cockpit of synthesizers to play this piece “Open Door” from his album, Liverdelphia, which, coincidentally was also a live recording. Ian actually cut two takes of this piece. He played a beautiful lead line on the first version, but he intentionally buried it in his mix. Since it was a two track, direct to stereo recording, I asked him to do a second take with the lead more prominent, which he reluctantly consented to do. I like it. It’s a classic space music track, replete with Mellotron vocal choirs. As we move through our 25th year, I can’ think of a better way to launch than with Transmissions. Pick up you copy of Transmissions in the Echoes Store. Current members of the Echoes CD of the Month Club will be getting Transmissions with their next CD. You can join them in getting a great CD every month by signing up for the Echoes CD of the Month Club. New members will get Moby’s Innocents album, our November CD of the Month and a BONUS CD of Bombay Dub Orchestra’s Tales from the Grand Bazaar. You’ll get great CDs and help support Echoes at the same time. You can do it all right here. Moby’s Innocents Echoes CD of the Month. Moby Scores Echoes CD of the Month Hat Trick with Innocents. Hear Moby’s Innocents Featured Tonight on Echoes. Arborea is Buck & Shanti Curran, a husband and wife duo from Maine who have been making a dreamy psychedelic folk music for several years. They recently released the album, Fortress of the Sun. During a recent live performance in the Echoes Living Room they talked about their evolution from hippie parents to psychedelic troubadours. 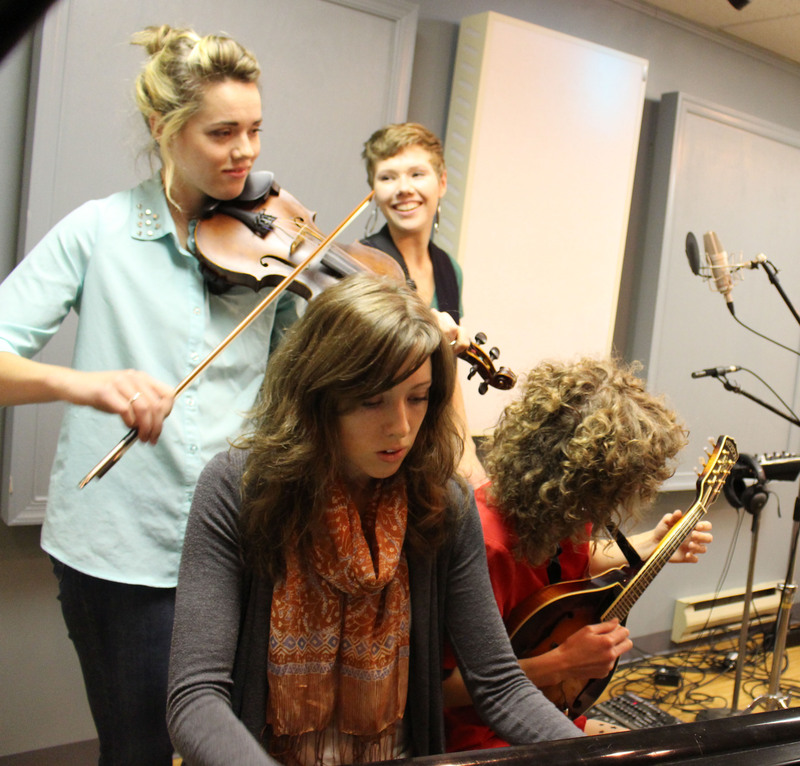 Hear Arborea in the Echoes Podcast. Below, watch Arborea’s live performance of “Pale Horse Phantasm” from their 2013 album, Fortress of the Sun. Arborea is Buck & Shanti Curran, a husband and wife duo from Maine who have been making a dreamy psychedelic folk music for several years. They recently released the album, Fortress of the Sun. During a recent live performance in the Echoes Living Room they talked about their evolution from hippie parents to psychedelic troubadours.